See the latest news, photos, and videos on our blog... NEW!! IRG operates the "K-REX" and "K10" series of planetary rovers (slideshow, fact sheet). We conduct robotic field tests each year in planetary analog sites, such as Black Point Lava Flow and Haughton Crater. We are committed to collaboration. Read about our Google partnership in the Mt. 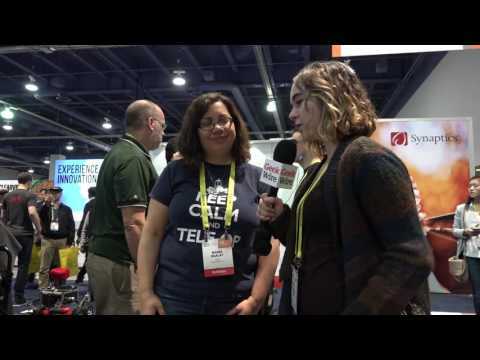 View Voice and our Microsoft partnership). If you are interested in working together, please contact us today. 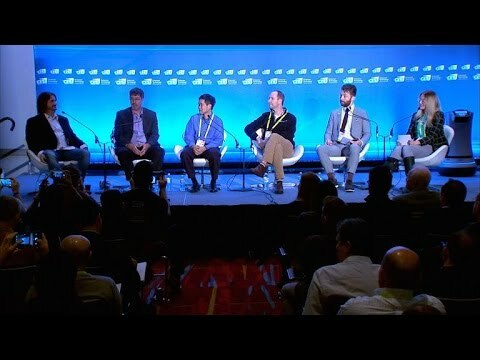 Self-driving Robots, Planes and Automobiles (NASA in Silicon Valley Live, 2018) NEW!! 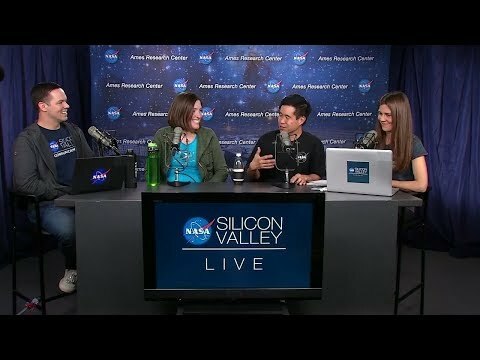 The Lunar Lab (NASA Facebook Live, 2017) NEW!! WWT Mars (Microsoft WorldWideTelescope, 2010) Courtesy Microsoft. Copyright 2010. All rights reserved. From July 26 to August 8, 2010, IRG conducted a field test at Haughton Crater in the Canadian Arctic to study how human field work can be augmented with subsequent robot activity. For more information, click here! IRG’s Exploration Ground Data System (xGDS) provides software tools to plan robot activities, monitor task execution, log robot telemetry, archive science data, and visualize a wide range of information.The xGDS makes use of the NASA Ensemble framework, Web interfaces and geospatial data browsers. The GeoCam project helps people better understand and respond to disasters. GeoCam consists of a GPS-enabled camera (or cell-phone) and a “live” geospatial workflow. Disaster responders have used GeoCam for urban search and rescue exercises and on-site at major wildfires. The Human Exploration Telerobotics (HET) project explores how advanced telerobotics can improve the productivity of human explorers and increase the performance of human missions. HET is conducting tests and demonstrations of robot systems remotely operated by crew in space and by ground controllers on Earth. 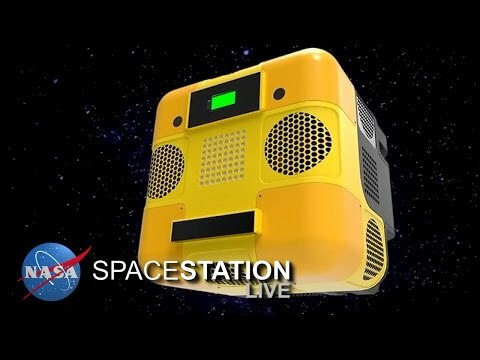 HET makes use of the International Space Station (ISS) and a wide variety of robots (Robonaut 2, SPHERES, K10, Centaur 2, and ATHLETE). We are field-testing robots to understand how they can be used to improve human productivity and science return. When humans return to the Moon, crews will initially be on the surface less than 10% of the time. Robots can perform work even when humans are not present, including reconnaissance, survey, and inspection. Field tests: 2007, 2009. NASA’s goal of returning humans to the Moon has led to renewed interest in lunar data sets and lunar science. Our work involves processing on an unprecedented scale, using terabytes of data acquired by the Lunar Reconnaissance Orbiter and newly processed Apollo camera images. We focus on advanced computer vision techniques for planetary mapping, planetary geospatial data, and research aspects of photogrammetry and stereogrammetry. The NASA Vision Workbench (VW) is an open-source C++ framework for efficient computer vision. Vision Workbench has been used to create gigapixel panoramas, 3D terrain models from satellite images, and high-dynamic range images for visual inspection. The Neo-Geography Toolkit (NGT) is a suite of automated processing tools for geospatial data. NGT can transform raster/vector data, metadata and geo-tagged data into a variety of formats including KML and WTML. NGT is highly scalable and can process multi-terabyte data sets. NGT was used to help create WorldWideTelescope | Mars. The Pipeline Threat Detection project develops algorithms to automatically detect heavy digging equipment near oil and gas pipelines. Data from multiple sensors are analyzed with computer vision and machine learning. Improving threat detection will help reduce the risk and cost of pipeline damage. The Planetary Content project makes NASA's vast stores of planetary data more accessible and useful through Web-enabled tools. In collaboration with Google and other NASA centers, Planetary Content has produced The Moon in Google Earth, Google Mars 3D, Google Moon (2D maps), and the NASA Gallery in Google Earth. Read about the Google-NASA partnership. IRG’s Rover Software (RoverSW) is a service-oriented architecture that encapsulates robot functions (locomotion, navigation, localization, instrument control, etc.) as self-contained computing services. With this approach, robotic applications can be built as a collection of on-demand services. To understand how best to integrate ground-based “backroom” teams into lunar surface operations, we are developing a new ground control team structure and operational protocols. We are testing the ground control with planetary scientists and the NASA JSC Mission Operations Directorate. VERVE is a high-performance, robot user interface that provides scientists, robot operators, and mission planners with powerful, interactive 3D displays of remote environments. VERVE derives from the prior Viz system, which was developed for Mars Polar Lander (2001) and used for the Mars Exploration Rover (2003) and the Phoenix Lander (2008). Martian surface models created from imagery by the Mars Reconnaissance Orbiter Context Imager. Tools and techniques for mobile and non-prehensile manipulation. AMVT was a set of computer vision tools used in geological and exobiological research. 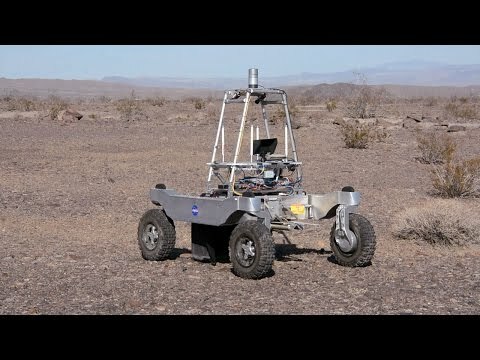 We developed planning system to enable JPL’s ATHLETE robot to walk on natural terrain. Our system processes images from robot cameras into 3D terrain models, which are analyzed for walking. A 3D user interface and motion planner enables remote operators to plan and visualize robot steps. Automatically deploy Wi-Fi relays from a mobile robot to extend a data network. Collaboration with SPAWAR. 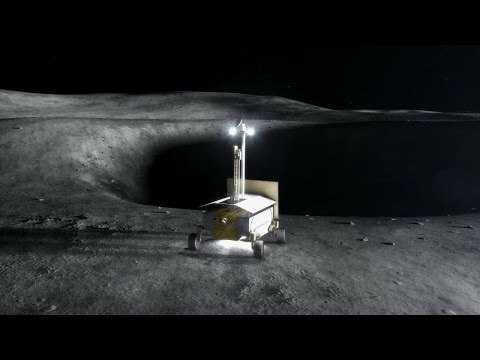 This system enabled safeguarded remote driving under lunar crater relevant conditions. A field test of a robotic survey system at a lunar analog site. 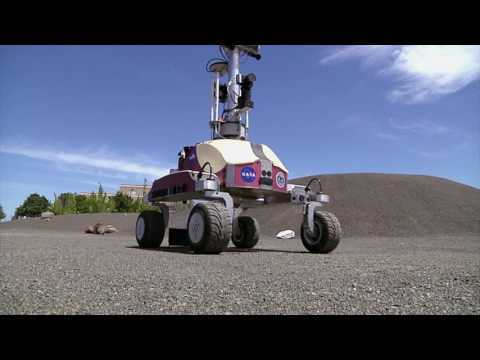 Search for subsurface hydrates using the HYDRA neutron spectrometer on a K10 rover. Collaboration with Los Alamos National Laboratory. Interactive 3D user interface for exploration visualization. Used for the Mars Phoenix mission. The goal of this project was to develop robust human-robot techniques for site surveying and sampling. Development of techniques for improving task coordination and collaboration between human and robot partners. Collaboration with Honeybee Robotics to develop a robot-mounted instrument for making geotechnical measurements. Real-time 3D display of health, status, and kinematic configuration of the JSC Robonaut robot. Techniques enabling a rover to visit and examine multiple targets in a single command cycle without supervision from mission control. Systematically map Wi-Fi network coverage using a mobile robot to identify dead zones and coverage quality at an outdoor site.